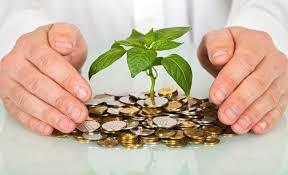 Learnings from Entrepreneurship: What Makes a Startup Investable? What Makes a Startup Investable? Not all startups get funded. Different investors have different focus areas and points they consider before making an investment. That said, I feel that entrepreneurs definitely need to figure out the following before approaching investors. Proof of Concept – Has the business done enough to prove that the market is big enough and customers are adopting the product/service. Generally startups go in for a beta launch to do this. A limited number of people from the target market are exposed to the product and their behavior is analysed and recorded. Scalability – Investors want to invest in big markets. Very few investors get excited by a business operating in a very small niche. Entrepreneurs must identify how big the potential market is and must ensure that it is big enough for an investor to potentially get a good return. Barrier to Entry – This is important and often a reason for unsuccessful pitches. Investors prefer that the business model of the startup cannot be replicated easily by existing players in the market. For example, during my previous startup Beveragewala where we were selling teas and coffees online, investors felt that players like Amazon could enter this space and hence we did not stand a chance in the longer term. It is crucial for an entrepreneur to work out why his/her startup has an advantage which is sustainable. This can be a first mover advantage, an IP, a location advantage etc. Team – The startup must have a strong team which is capable to execute the business. A perfect team is one which has all requisite skills which are required to run and grow the business.